This tutorial will show you how to hide and or remove any visual representation that you are using Windows7 as an OS for your arcade machine. We will be using instantsheller which will do most of the work, coupled with a few additional tweaks to the OS to make boot-up visibly pleasing to yourself or whomever your trying to impress. I understand that some these steps may overlap what instantsheller may already do, but they will catch any process instantsheller fails to execute to ensure your presentation is clean. First and foremost backup your system prior to making any of these changes, as any of these steps done incorrectly could prevent your windows from loading properly. 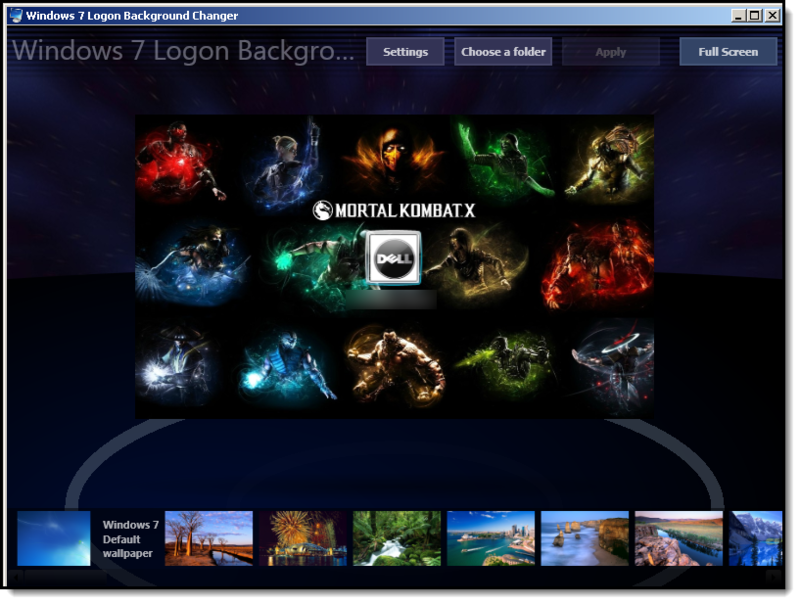 And will give you access to all configurable screens in Win 7. While in GODMODE follow these steps (we are gonna go down the list in order, use the search function in the top right hand corner if needed). Set to "Never Notify" and reboot. Since we will be making a lot of changes to the PC, this will remove that annoying pop-up asking if you want a program to make changes to your PC. 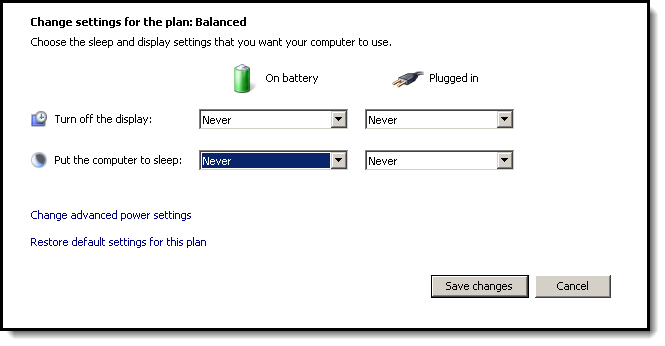 Set to "Never", this will keep the windows solutions and problems pop-up from displaying. 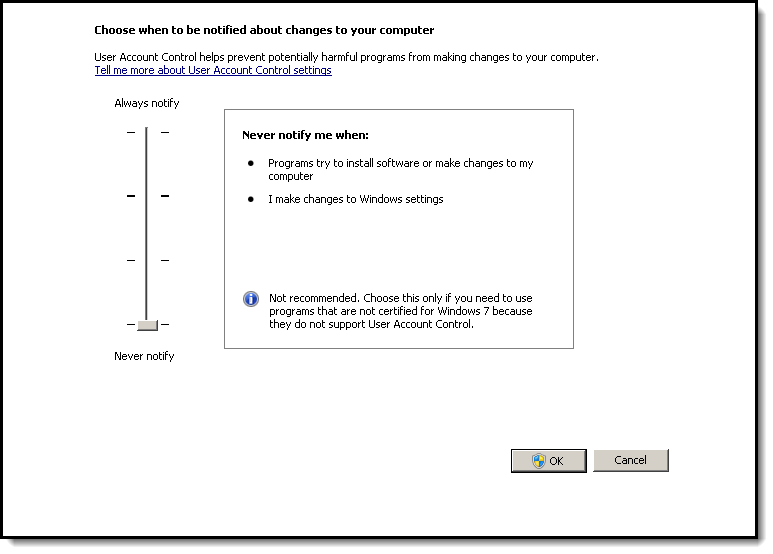 If you decide to keep a password on your PC, tick "Don't require a Password" and save changes. 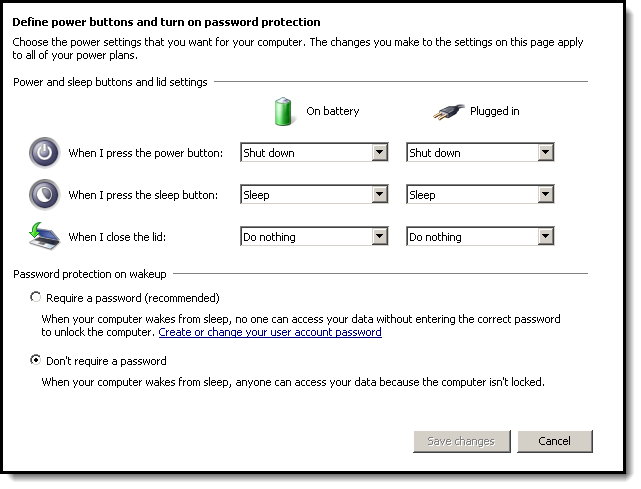 This keeps the lock screen from showing up should your PC go into hibernation or sleep mode. This is optional, if there are any features that you will never use on the cab, then turn them off. This is a similar to what NLITE does for stripped down XP installs. This is what my setup looked like, but yours may differ based on your selections. Reboot if you make any changes. Set to "Adjust for Performance", this will free up resources and speedup your PC. You will need to do this if you want to have a static image show up after your custom boot animation. The alternative is to use the auto-login feature in instantsheller if you absolutely want a PW on your rig, however, you will lose the additional boot-up image as instantsheller will hide it. Ensure that the highlighted verbiage is visible to confirm that you have removed your password. 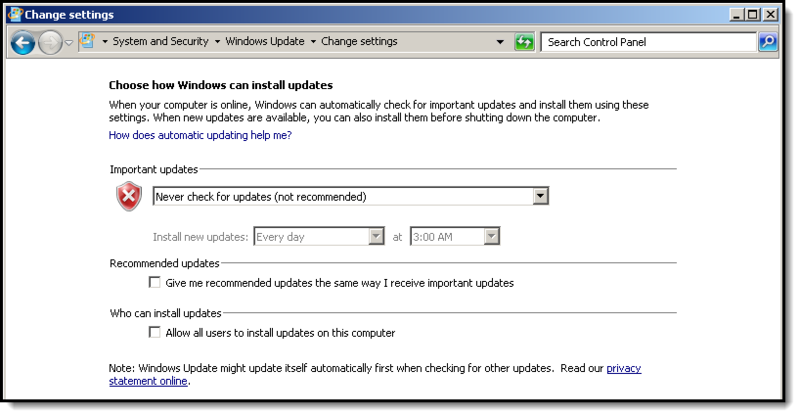 It is recommended that you update your windows to current and then turn off windows update prior to making any of these changes. Any updates made after the changes could modify the hacked files and cause your system to fail at boot or worse a BSOD. I experienced this while testing and rolled the system back prior to the updates with a system restore to correct the problem. This is optional, but this step keeps installed programs from alerting you that an update is available and ready to be installed. These annoying reminders take focus from your front end. Place the "Disable_Notifications.reg" file and place on your desktop and execute. This will suppress any notifications at the bottom right of your task-bar. Place the "Add_Take_Ownership_to_context.reg" file and place on your desktop and execute. When you right click on the OS files we are going to modify and click "Take Ownership", this will give you the permissions needed move and modify. Pause and take a break, clear your brain, this is where you can really screw things up. We are now going to modify the OS system files, pay attention to detail or you will be starting over with a new install of Windows. 1. Extract the Elevated_Command_Prompt.zip and place the command prompt short cut on your desktop. 3. Create a folder on your desktop and call it "File Backups". 6. Right Click on each highlighted resource and hit "Delete Resource"
7. Save the file and resourcehacker will create a backup file basebrd_original.dll, place that file into your backup folder. 12. Wait for the command prompt and then close it out. Tip provided by Romshark : Should you have a problem moving or modifying the file in the system32 folder and your running a 64-bit OS. Edit the "imageres.dll" file in the SysWOW64 directory instead. 7. Save the file and resource hacker will create a backup file imageres_original.dll, place that file into your backup folder. 11. Wait for the command prompt and then close it out. 5. A green arrow will now be available, click it to compile. 6. Save the file and resource hacker will create a backup file authui_original.dll, place that file into your backup folder. 9. Remove the highlighted text from the quotes, leave the quotes (Do not use delete resource). 11. Save the file and resource hacker will create a backup file wininit_original.exe, place that file into your backup folder. 14. Remove the highlighted text from the quotes, leave the quotes (Do not use delete resource). 15. A green arrow will now be available, click it to compile. 16. 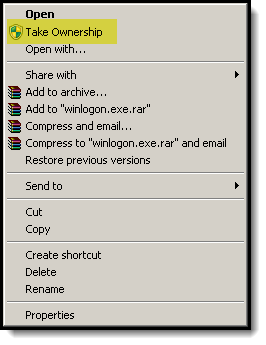 Save the file and resource hacker will create a backup file winlogon_original.exe, place that file into your backup folder. 21. Wait for the command prompt and then close it out. Reboot and make sure all of the changes were made, if you did it correctly you should boot back into the desktop. Reboot again, and look for any branding or verbiage that we removed above, if it is still there, repeat the steps for that object only. Click HERE to get more info on how to create your custom animation. 2. Change the settings to match below, the animation will vary based on what you want to show. 3. If you chose animation, hit play to make sure your animation works. 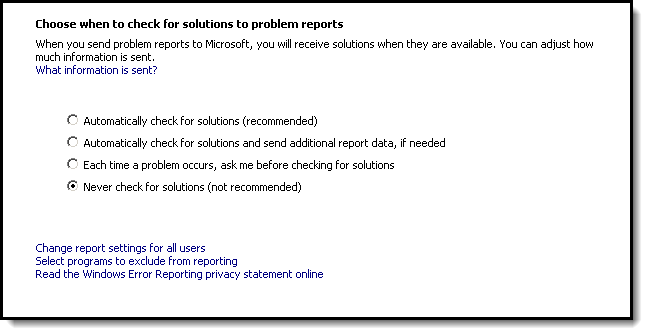 This is one of the steps that can send mess up your PC, the steps below will help you to recover your PC. 4. Change the text to be 'no shadow' in the settings. 1. Install and open "Shybar"
2. 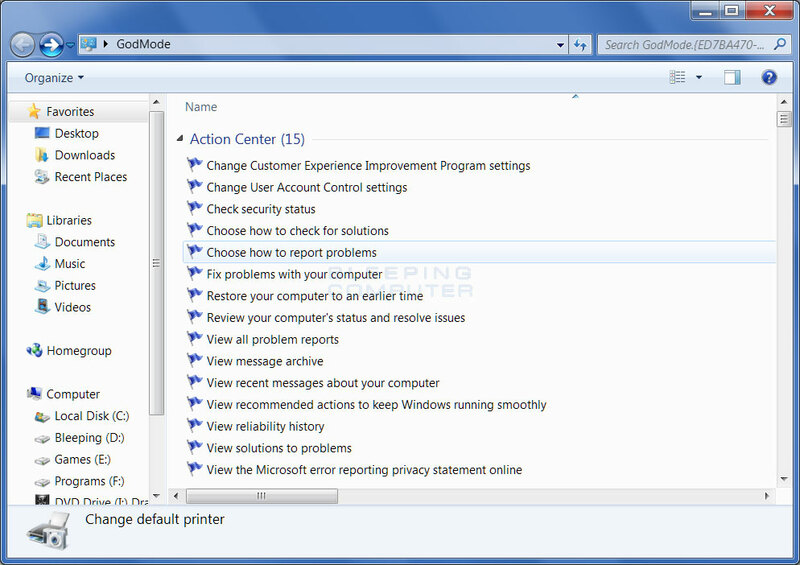 Enable auto-hide taskbar (you have to enable auto-hide to enable shybar), now set shybar shown below. The toolbar will disappear, to make it reappear for use go to bottom of the screen, you will notice now it takes 2 secs before it appears. You can adjust Shybar to your own personal preferences. 1. 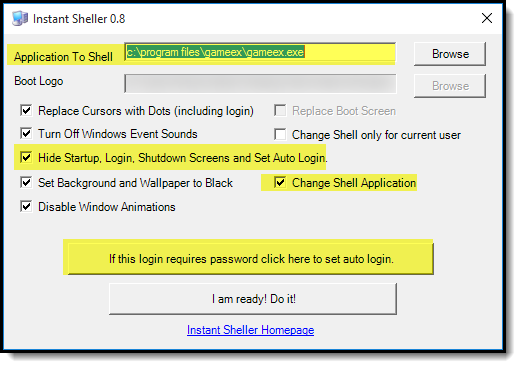 Extract and open "instantsheller"
Application to Shell - Select the front end that you want to shell to , ie. Hyperspin, Mala, GameEX. Hide Startup, Login, Shutdown Screens, and Set Auto Login - If you created a custom animation and logon background, uncheck this selection otherwise they will be hidden. Change Shell Application - If you want to shell back to the desktop uncheck this option. Good for testing. If this login requires password - If you kept your password, click the Auto-Login button to set your credentials. 2. 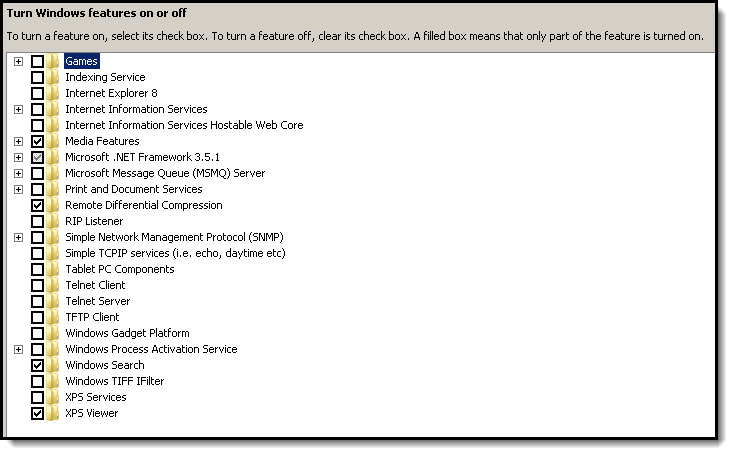 Optional: This is a secondary safeguard for making the windows boot-up animations disappear. This is only if you did not create a custom boot animation. Type "msconfig" in your windows "search programs and files"
To undo instantsheller requires a good eye, as the cursor will now be a small black dot. Re: HIDING WINDOWS 7 - Revised Tutorial - Anyone Interested? If you write it they will come ! I'm in. I remember how to do most of it. Always nice to have a bookmarked reference in case I forget anything. Ok Cool Fellas, I'll be updating the first post with the tutorial. The idea is to take the solutions found throughout the older thread and consolidate the process in this one. Update the bootscreen animation to a custom MKX animation. Change the login screen background. Confirmed an easy was to get the resourced hacked files back into the proper directories. I plan to package up all of the necessary tools with a dropbox link, in case any of the file are taken offline for any reason. m i the only one who uses this guide and works just perfect, whats the point on having another one? No, you aren't, the fact that my contents mimics wweumina's awesome thread should key you in that you aren't the only one. I followed that one as well, which is why i'm writing this one, cause I spent hours bouncing all over the place. I followed that thread down to the period and it did not work perfectly, hence the reason folks brought up issues they were having throughout the thread. I'm adding a few extra tweaks and more defined instructions, in one post, plus a few things that were never mentioned. In the thread your referring to, there were bright ideas spread throughout, that were never brought back up to the first post. I'm also clearing up a few issues regarding the recompile and the please wait that was still showing up for folks at shutdown. If you want to continue to follow that thread, hunt for files, go back and forth between websites, then by all means knock yourself out. If it wasn't warranted, wouldn't waste my time. If I thought the other thread was the fastest, most complete way to hide windows. I wouldn't bother trust me. You might ought to have let me finish though, and then ask that question. Dont mean to disrespect your post, but i got the other post saved in my pc and ive followed since the day it was created, and alway works wonders, sure there are more instructions if you scroll down and they are crystal clear to me, i always had good results on each pc i hide windows 7. Sure (and im not saying you or anyone here is) a more idiot proof guide would be usefull. so what features or tweks are you saying the old post itrs missing? I followed the old thread for a commissioned build, and had to go back to tweak due to the following. Issues not covered in original post included. thats off the top of my head........so if your way works for you then i'm not hating on what you got going on. This is why i asked before i even started and some of the folks who have been here a long time wanted to see a revision. I figured it would be useful, and utilized which is the reason why i'm sharing my findings for this process. Plus im packaging up all the files to make it work, no need to go back and forth to multiple sites to grab files etc. This step will prevent the taskbar etc showing up at all. I wouldn't do it until you have the rest of your system set up the way you want it. It can be worked around easily enough but it's more convenient to save it until last. If there is no 'Shell' key then create one and set the value to be the path to your frontend. In my case it's: "C:\Emulate\Hyperspin\Hyperspin.exe"
Please wait at shutdown was still there ..............i dont have this issue because i followed this instruction that where clear to me :WELCOME TEXT - After following the instructions above to edit and replace winlogo.exe.mui you need to do the following. 1) Open a elevated command prompt. 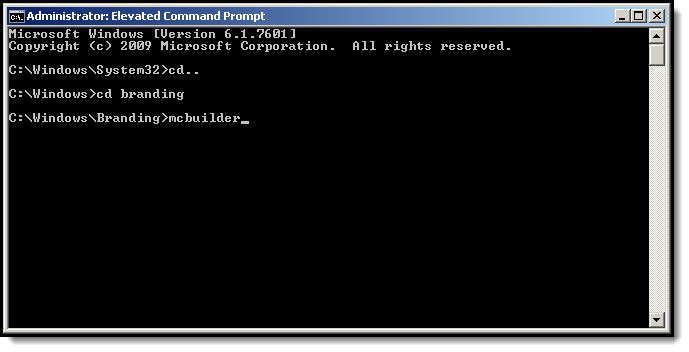 2) In the command prompt, type mcbuilder and press Enter. 3) When the command window closes, restart the computer. 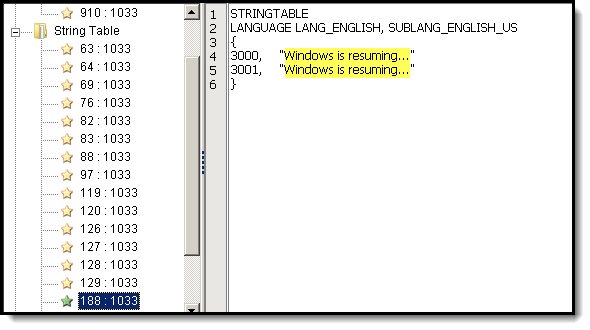 SHUTTING DOWN TEXT - The "Shutting Down..." text is in a different file called "wininit.exe.mui". After modifying you need to run mcbuilder as well. Confusion on how to change the files w/o using a linux disk......... on this one you are right, what i do i use the security settings and make me a full owner of the files, that way i canjust simply modified the conten and save, a tip i use was, once the files where modified i made a back up of them and save them, once ii had them i can just replace those on new instalations. How to avoid the BSOD by switching off your updates....this one everytime i do a mame machine or juke , i never update nothing, i just use windows 7 even without a service pack as most machine will never be hooked to the internet, so no antivirus ether. Removing lines from the authui.dll.mui........whats this one for? resource hacker has changed over 4 years, no longer need to make backups, does it for you, not explained....nice thanks. if i can help in anyway to explain things please let me know and pardon my bad editor skills. I was able to change ( delete) the needed values in Resource Hacker and save the new file , but it wouldn't let me overwrite (copy and paste) the new file with the old one, even in safe mode, even with taking ownership. What I ended up doing that worked for me, was just rename imageres.dll to imageres.dll.old and THEN pasting the new file in it's place. Just thought I'd put that out there for anybody else who has this issue. I think you gave that advice in the other thread, i followed your instructions there as well. The easier way for me, was to use the take ownership regedit, then you can just move the file out of the folder, hack it, RH will create a copy for you and file_original. Then just move the hacked file back into the folder you took it from. Retain original file for safe keeping. This step will prevent the taskbar etc showing up at all. I wouldn't do it until you have the rest of your system set up the way you want it. It can be worked around easily enough but it's more convenient to save it until last. Correct, another reason for the revision is order of steps. If there is no 'Shell' key then create one and set the value to be the path to your frontend. In my case it's: "C:\Emulate\Hyperspin\Hyperspin.exe" I use instantsheller to shell, mainly for the undo functionality, and the taskbar was an issue, the revised version will keep a user from physically editing registry files (which could be a disaster), and give the user an easier way to undo. Tried this and it still didn't work, it didn't disappear for me until i ran the Windows 7 Boot Updater as a last step, also I never had to run mcbuilder on any of my steps, Phreakwars had the same problem I had, running that MCBuilder command did not work. It's also how you remove the text from the mui files. You have to just delete the text in the quotes, not delete the resource. 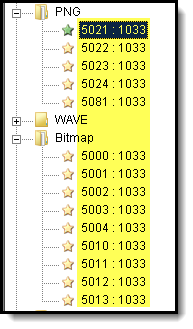 Then hit the compile button in RH and save. Not sure if anyone knew about this, but this is hella useful while going through this process. Create a folder on your desktop and name it this. 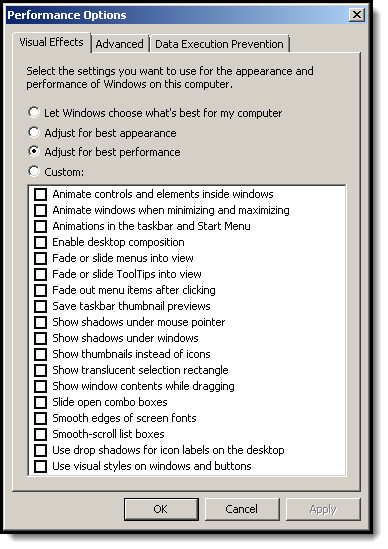 The resulting folder will contain 270 items, representing virtually every configurable option in Windows 7. Interesting - nice find !! Dude that is one I didn't know and it's very hard to find something I don't know about windows 7. Thanks! I wonder if something similar works for 8/10? Ok folks its done..........how do i get a mod to sticky this? i got another thing i do on my cabs , this is to Disable Windows Startup Repair as Default Option in case something happens and when you restart you dont need to press f8 or f nothing, it restarts the computer again like nothing happened, and im talking on situations like someone disconected the cab or the electrycity goes out. today i had a force to close pop-up show, do you have this issue. 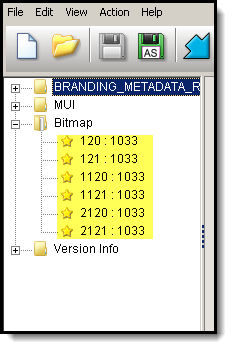 I think i saw this verbiage in the mui files, might be good to remove these as well. This is great! Gonna give it a shot this weekend. Just one question, where do you get the files that have have to be run. I have found some of them but others such as Add_Take_Ownership_to_context.reg are proving elusive?? UPDATE: Found the links to them on the original guide referenced at the top of this thread. I think adding a note about disabling stickykeys could be good - especially if someone is using the default key map for ipac and similar hardware. 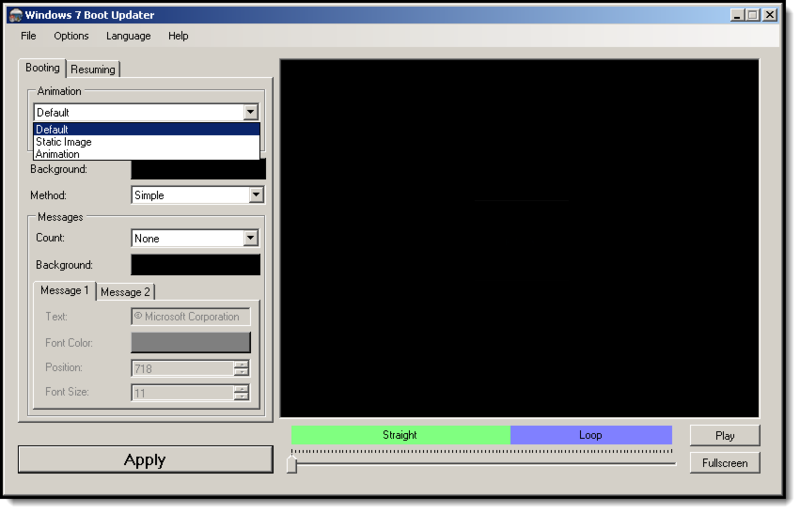 This is important as left shift is one of the player one buttons and if its mashed quickly you'll be seeing that dialog. Changing the key defaults to only letter and arrow keys is in the end a better solution, though - no chance of weird windows commands happening. I followed this guide over the weekend, and no problems have popped up. Things are looking great. Only problem I had was editing imageres.dll in the system32 folder. No matter how many times I "took ownership", I couldn't overwrite it (nor could I delete it and place the edited one in it's place. A Google hit hinted that, since I'm running 64-bit, to edit the one in the SysWOW64 directory instead. Editing that file worked without a problem. The rest of the listed files in system32 were modified without any issue, and I also modified their counterparts in Syswow64, just in case. I'd love to hear your experiences and opinions on Windows 10 and arcade software. Any issues with any emulators? Do the Taito X games run just as well? Can it be skinned and reshelled like I did with Win7? I have Win10 on an old laptop for testing, but I've barely worked with it. Did you try moving it to your desktop first and then editing the file, and then moving it back. Copying and or deleting it doesn't work. I've modded both 32 and 64 bit OS's, no problem. However I have added this note to the tutorial, thanks for the feedback. Yup. Take ownership, drag file to desktop, edit, drag back. But with this file, it created a replacement in the system32 (or only copied and didn't move it) and wouldn't let me replace it with the edited one. Guess my system decided to be the oddball. Got it working in the end though. Thanks for that, couldn't see the wood for the trees and all that!! Has anyone done this on Windows 10 yet? Do these things still apply there, or has it all changed? Page created in 0.207 seconds with 61 queries.